Learn how to create 15 contemporary woven designs and accessories by beloved French blogger Elena Vilar of Deer Jane A source of inspiration and learning about weaving, through travel photos, unusual places and objects to make yourself ... You can learn the basics of wall hanging weaving, the manufacture of a small looms and be inspired by achievable modern weaving projects. 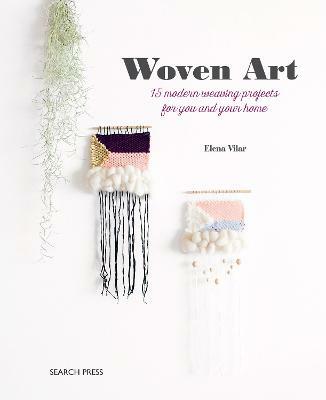 Rediscover this traditional craft and enkindle your age-old weaving skills by immersing yourself in the wonderful world of Elena Vilar, professional weaver and beloved French blogger Deer Jane. By following her gentle and easy-to-follow instructions, learn how to create 15 woven masterpieces inspired by this age-old craft with a modern twist. The richly illustrated techniques section allows you to master the basics before delving into Elena's simple yet sophisticated designs. Discover how to make a cardboard loom, thread a shop-bought loom, dye wool using natural dyes, make jersey yarn, wind pompoms and more, then learn the essential weaving methods you'll need for the projects. Make sumptuously textured wall hangings, plant pot holders, jewellery, dream catchers and more using an inspiring range of materials and fabrics and imaginative embellishments. Each project includes handy tips and know-how boxes, ensuring that both experienced and beginner weavers will be able to make all of the woven creations in the book. 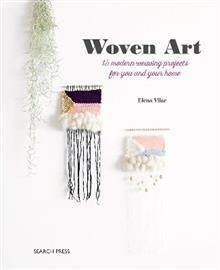 Elena Vilar is the daughter and great-granddaughter of weavers. Influenced by her family's craft and impressed by how easily yarn could be made at home from old T-shirts and other materials, Elena taught herself to weave, and now not a day goes by when she isn't weaving. She decided to set up a blog, Deer Jane, to share her tips, tricks and ideas on-line, and she now has many followers from all over the world who admire her beautiful creations and gentle writing style. Elena lives in Nantes, France with her husband and daughter Jeanne. To find out more about Elena and her work, please visit her website, www.deer-jane.fr, where you can find links to her social media pages and her online shop on Etsy.